World Values Day takes place on October 18th and individuals, organisations and communities are invited to take part across the globe. There are a number of ways to take part, from sharing a value and an action that you will take to live that value, to resources that provide information on hosting workshops and dialogues. 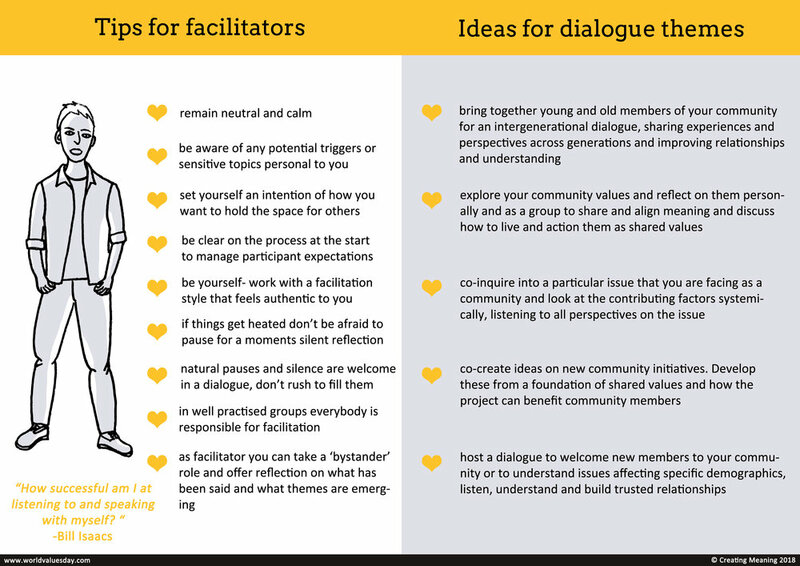 As part of my work facilitating dialogues and as a member of the UK Values Alliance I have created a downloadable resource to support communities in hosting values-based community dialogues. The resource is available to download from the World Values Day website, where you will find lots of other information and resources to help to be a part of and contribute to a more values-based society and world.